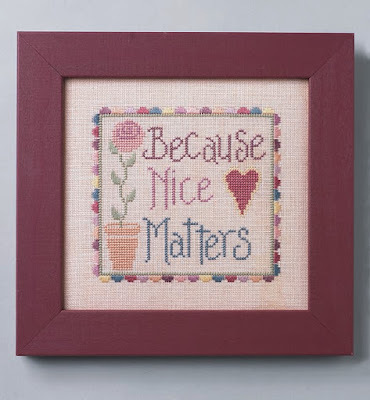 Created by request as a fun stand-alone or companion piece to Kreinik's famous "Nice Matters" project, this counted thread design (cross stitch, backstitch, satin stitch on linen) uses Kreinik Silk Mori floss. 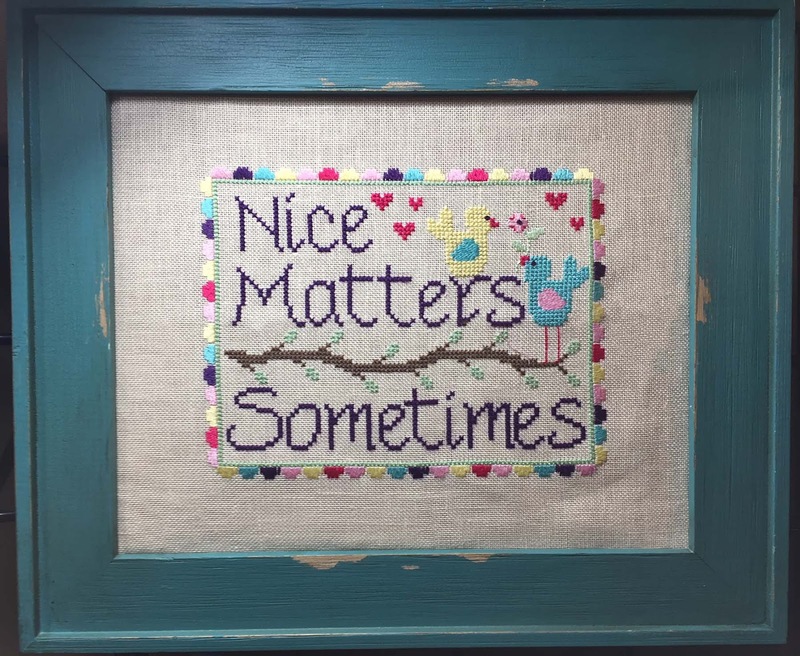 Available as a full kit with fabric or thread kit (no fabric). 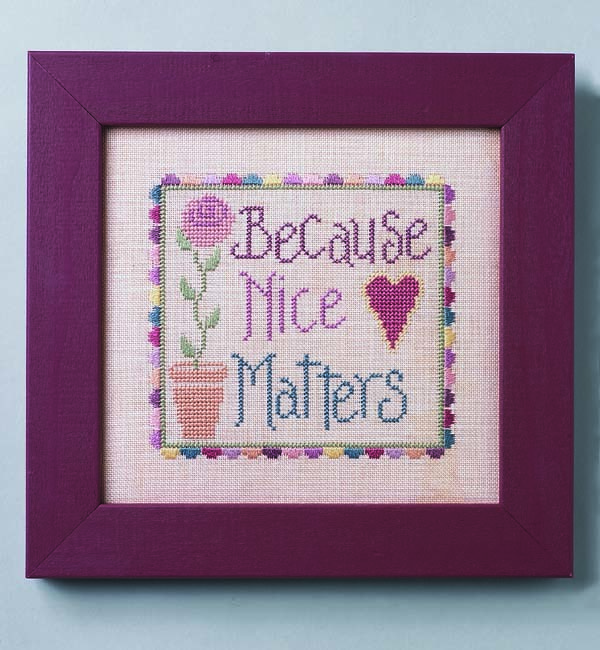 Ask your favorite needlework store for the new design. Want to experiment with real metal threads? 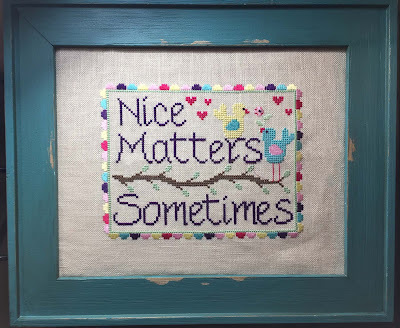 Save the indie needlearts stores!